The TYBA 6 units class were in for a pleasant surprise on 5th January 2019 when Mr Amit Roy addressed them on the topic “College and beyond”. Mr Amit Roy presently works as Director, International Business at Medrel GmbH in Germany and also works as Business Development Director for Orange Group of Companies in Nigeria. 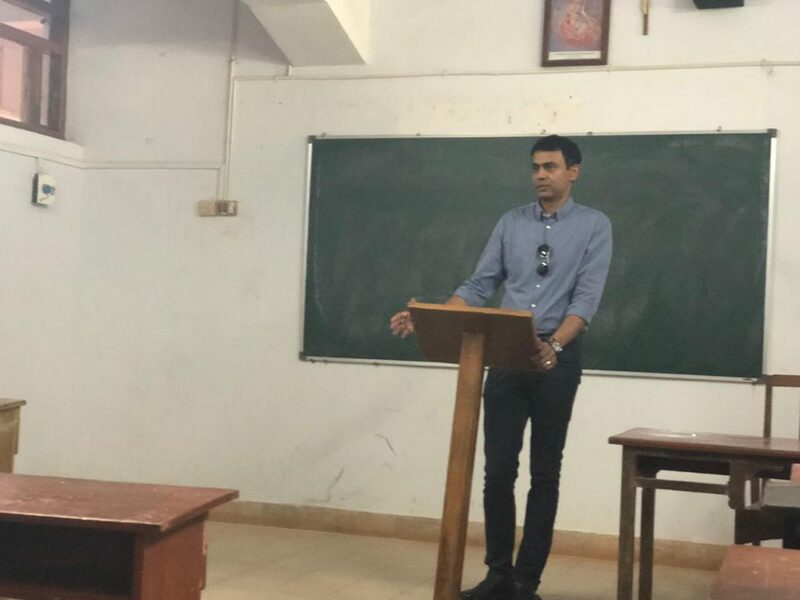 A former student of the college in the 1990’s, Mr Roy gave an inspiring talk to the students about what life in college was, without cell phones, or photocopying facility and an era when all notes had to be handwritten. He traced his journey from a shy, nervous and withdrawn boy in school to a confident participant in all co-curricular activities. He credited this change to the guidance and encouragement of his teachers, both in school and college. He recounted some amusing experiences while at St. Xavier’s college and urged the students to work hard with persistent efforts and to never give up. He also advised them to stay connected to their roots, irrespective of where in the world they would be in future.